Please donate and support this site. 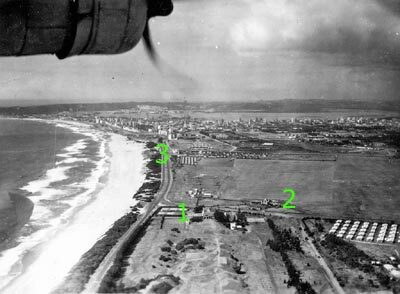 Welcome to Facts About Durban's new aviation page which I hope to build up into a major resource on Durban's aviation past. Some articles I will write myself but I will welcome suggestions and contributions, including reminiscences and pictures, from readers. See the contact page for details on how to get hold of me. See more from Maurice Ungless on the VC10 visit. See Trevor Friend's page for some of his aviation memories of Durban, including the VC10 visit in 1965. Added 19 September 2012: See a new page of pictures from Trevor on the occasion of that visit. 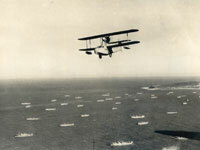 June 2012: I have added a new page with some very nice flying boat pictures and a couple of newspaper articles. January 2010: I have added a page, courtesy of Gerry Muller, with the story of an incident during Sir Frank Whittle's visit to Durban. 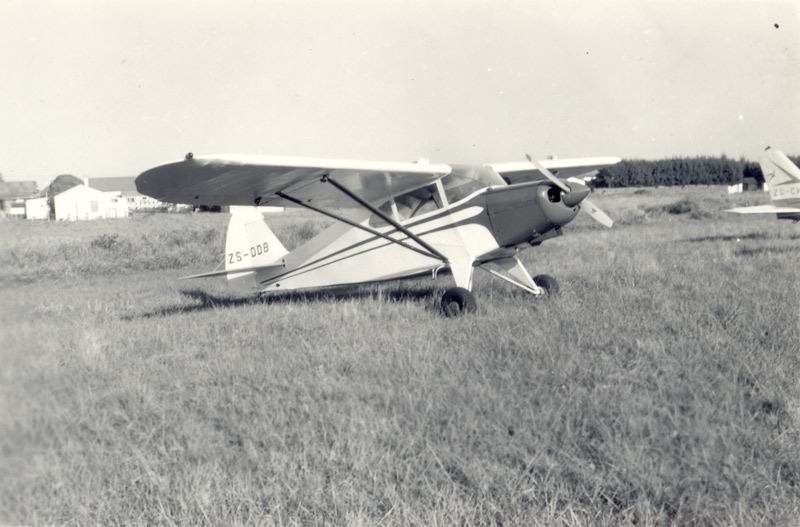 On that page are also a couple of pictures of aircraft at Virginia Airport and Durban Wings Club members in the early 1960s. 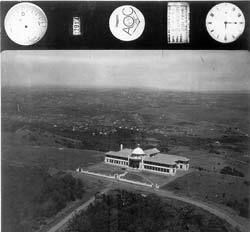 Does anyone know anything about the Women's Aviation Association (WAA) which existed in Durban in 1948, at least? 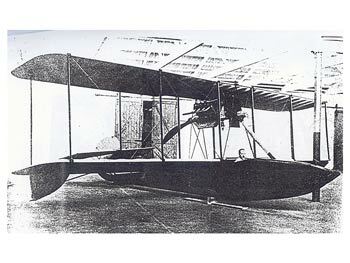 Reader Lorraine Hurt was a member and a pupil pilot at Stamford Hill Aerodrome. Contact me here. 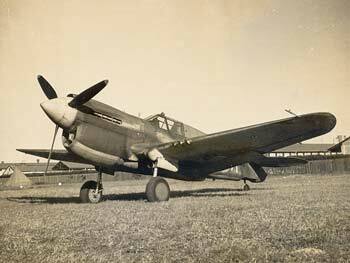 I've just added a great selection of photos belonging to Robert Page who served with 35 SQN in Durban during WWII. The pictures are not all that well captioned and we'd be grateful for any contributions. Contact us here. Here's a story concerning Major Allister Miller's recruiting flight for the RFC in 1917. His trip took him around the major centres in South Africa, including Durban, but the story is about his visit to Port Elizabeth. It gives a good flavour of how excited the locals were about the trip. Biography of Roy Coull by Alan Taylor. Coull has been mentioned several times in these pages as he was a flying instructor with Natal Aviation before WWII and served with distinction during the war, earning a DFC. View PDF here. A 1930/31 booklet, called Industrial Durban, which recently came my way, reminded me that it was once planned to link Durban to the rest of the world via airship. 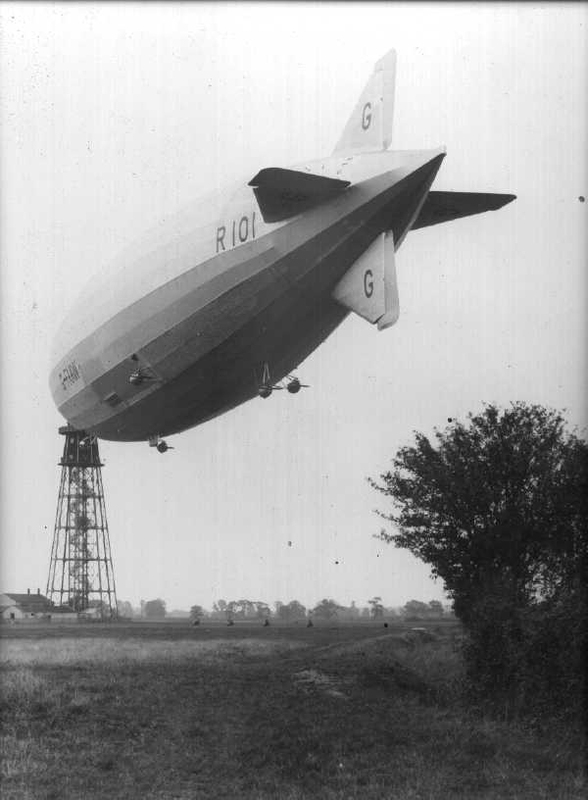 Land was even bought outside the town at Compensation Flats to form a landing ground, but the airship program was cancelled after the horror crash of the R101 on 5 October, 1930. 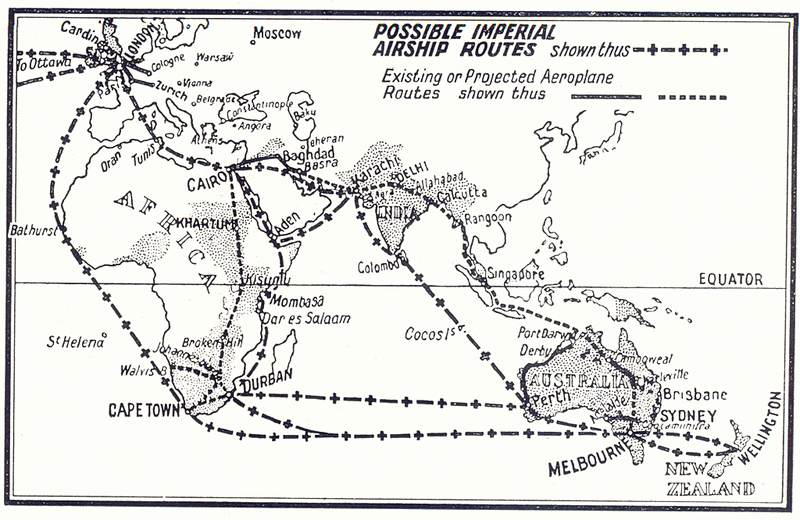 Airship route map from Industrial Durban. An article by Alan Taylor on Early rotorcraft flight in Durban has been linked from his page here. 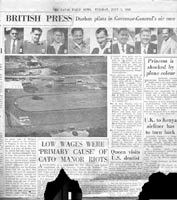 Clipping concerning the Governor General's Air Race of 1959 and the opening of Virginia Airport. <<= Click to view enlargement. Pic courtesy Mike Hutchons Mike Hutchons' Piper Clipper. Arriving at Stamford Hill Aerodome. That's Mike Hutchons in the blazer on the left and it's the Berea behind the aircraft. The aircraft is SAA Junkers JU52 ZS-AJI. 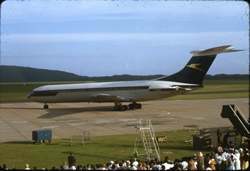 ADDED 9 October 2007: My informant Alan Taylor wrote: ZS-AJI was registered to South African Airways on 28 September 1937 and is known to have carried the names "Major Warden" and later "President Burgers" during service. 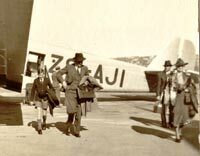 Following the decleration of war in September 1939 it continued to fly on SAA routes until 25 May 1940 when all civil flying was suspended. 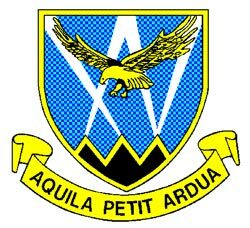 It was officially transferred to the SAAF as 664 "D" on 17 June 1940 and served with 50 (Transport) Squadron, 1 Bomber Transport Brigade and 51 Flight of 5 Wing. The Junkers Ju 52s were used on the shuttle service between South Africa and Egypt and were withdrawn in 1943 following the delivery of the first Douglas C-47 Dakotas. It survived the war only to be disposed of on 26 October 1946 at 15 Air Depot; being sold as scrap to Metal Sales (Pty) Ltd. 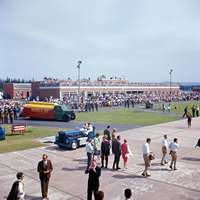 The registration was cancelled on 27 June 1947. 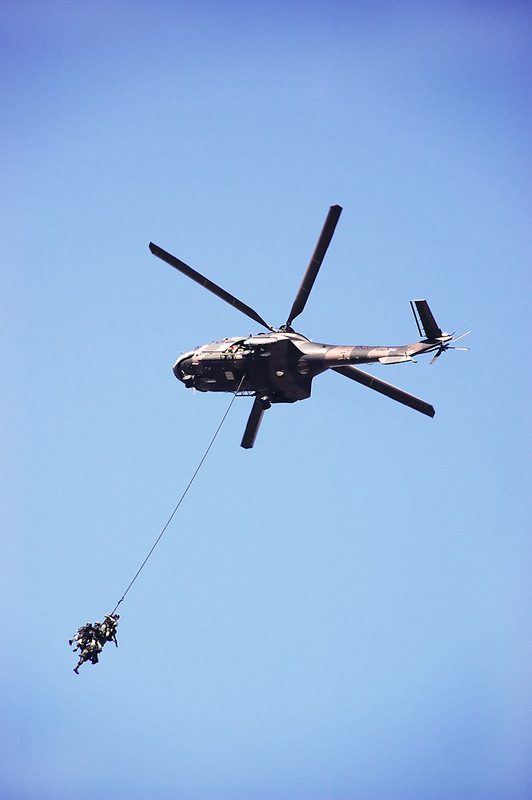 The aircraft is an Oryx helicopter from 15 Squadron SAAF and was apparently involved in some sort of counter-terrorism exercise. 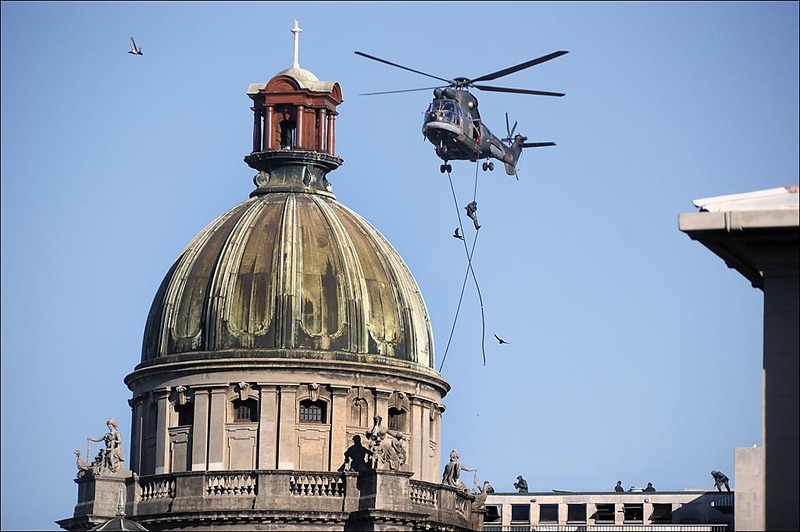 It was dropping troops on the roof of Florence Mkhize (formerly Martin West) Building in Smith Street in Durban. Peter Bendheim took the pictures on April 7, 2007, from the patio outside his office in the Old Station in Pine Street. 19 June 2007. 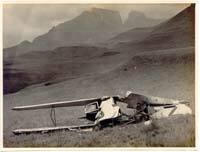 I have added a new page of stuff contributed by Alan Taylor of the SAAF Museum. It includes a list of civil aircraft registered in the region pre-1939 and details about Kittyhawk fighters which crashed here during WWII. See the page here. & October 1956. View the page here. 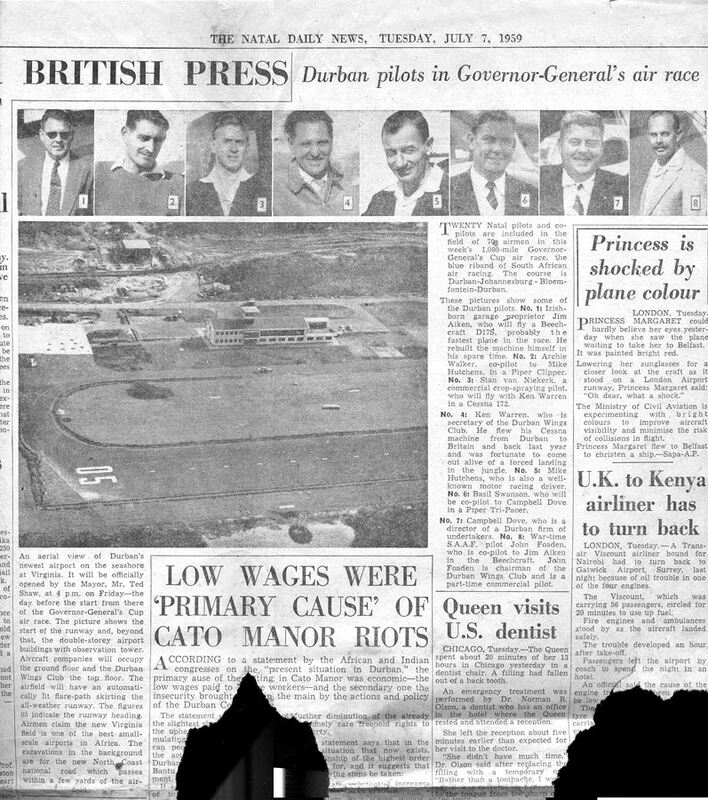 8 August 2006: Accidents and stories from Durban's Aviation Past. View the page here. 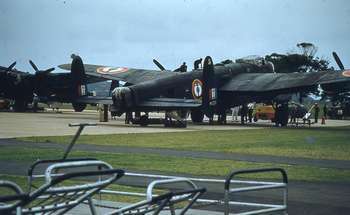 29 May 2006: I have added a marvellous page of pictures showing 262 SQN RAF / 35 SQN SAAF aircraft including Catalinas and Sunderlands in Durban. 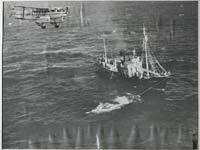 There are also pictures of a rescue launch, some nice aerial views of Durban and a picture of a Seafire which visited Durban and was probably scrapped here. View the page here. 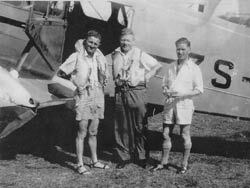 Learning to Fly in Durban - 1936. 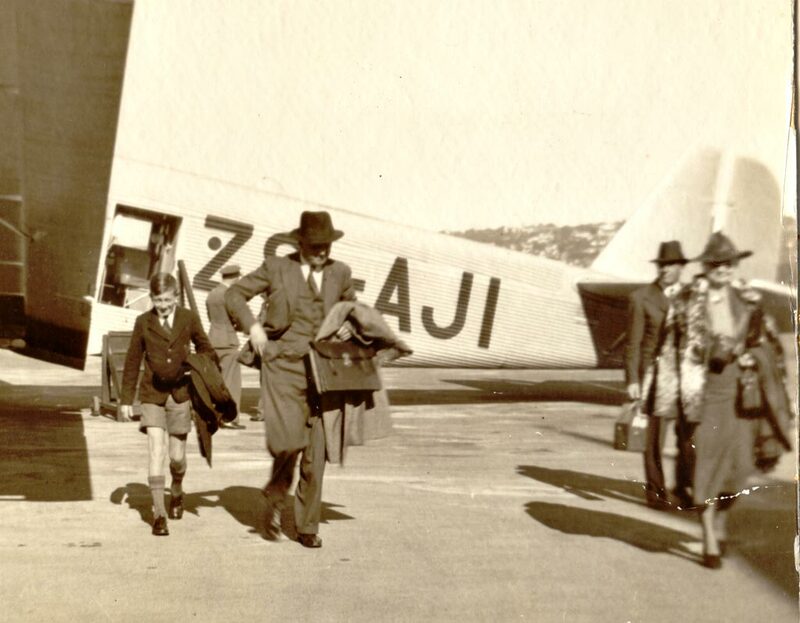 The story of Archie Archbell who learned to fly in Durban in 1936-38 at Natal Aviation under aviation personality Roy Coull. There is a safety leaflet from that time and great pictures including the members of the Durban Aero Club at Stamford Hill Aerodrome, the clubs's aircraft, excerpts from Archie's Log Book and pictures of the two aircraft he crashed during his flight training. View the article here. 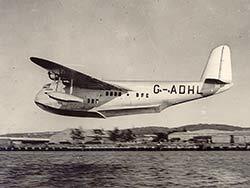 I've now got so much new stuff on the flying boats that I've added quite a couple of new pages including some eyewitness reports. 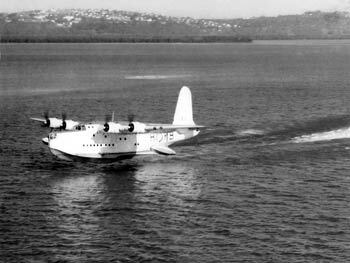 View the main Flying Boat page here. Based in Durban from 1942 was 8 Motor Boat Section SAAF which was tasked with rescuing airmen who had been forced to crash land in the seas around Durban. ClicK here for the story of the units's exploits as told by Guy Ellis. 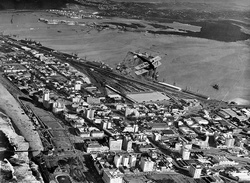 11.11.2004: This splendid picture of the anchorage off Durban was taken in 1942 and clearly shows the huge amount of shipping which the port handled during the war. The patrolling aircraft on the lookout for hostile forces is a Fleet Air Arm Walrus amphibian based at Stamford Hill Aerodrome in the city. 5.9.2004: I've posted a picture of the aircrew involved in whale-spotting flights from Durban. Click here or on the picture to view the story and an enlargement. Please contact me if you know anything about the flights. 15.9.2004: Here's a picture I've received of the first aircraft used for whale-spotting. Click here to view some details and an enlargement of the the picture. Union Airways and Allister Miller. Please contact me if you can help. 18.8.2004: I've just posted an aerial picture of Stamford Hill Aerodrome on Diary Page # 15. Click the thumbnail, right, to view it.